NASA has renamed its future mission to a star called the Solar Probe Plus spacecraft to honor astrophysicist Eugene Parker for his studies on the solar wind phenomenon and research on how stars engage orbiting planets. 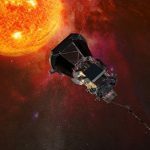 The space agency said Wednesday that the spacecraft, now known as the Parker Solar Probe, is slated for launch in 2018 as part of NASA’s Living With a Star program which aims to study elements of the sun-Earth system that impacts society. Zurbuchen noted that Parker’s body of work helped discover a new field of science that helped inspire other discoveries and worked to answer questions that the space agency seeks to study. Johns Hopkins University’s Applied Physics Laboratory currently oversees the Parker Solar Probe mission for NASA and the former will also build, design and operate the future spacecraft. Parker currently serves as the S. Chandrasekhar Distinguished Service Professor Emeritus for the Department of Astronomy and Astrophysics at the University of Chicago. He received a bachelor’s degree in physics from Michigan State University and a doctorate degree from the California Institute of Technology before taking on faculty roles at the University of Utah, University of Chicago and the Fermi Institute. The astrophysics expert also received various awards for his work such as the Bruce Medal, George Ellery Hale Prize, Gold Medal of the Royal Astronomical Society, Gold Medal of Science, James Clerk Maxwell Prize, Kyoto Prize and the National Medal of Science.